One word to sum it up: Tedious. 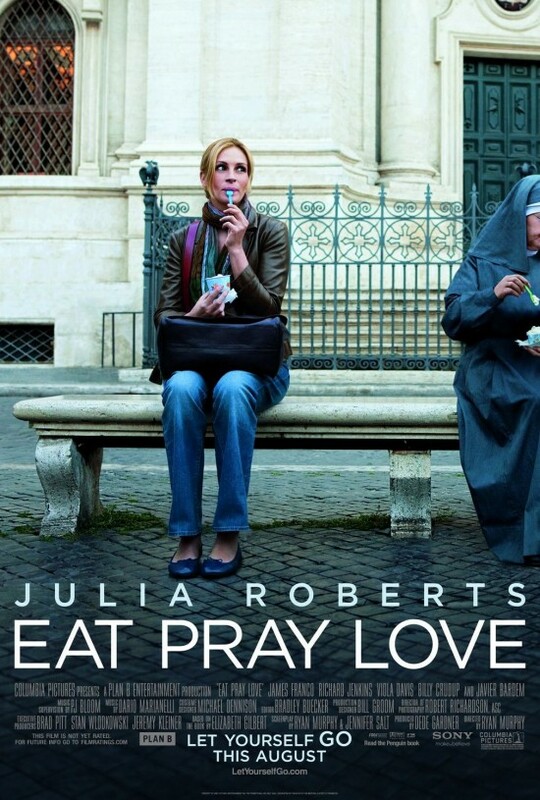 A movie about a woman spending a year eating in Italy, praying in India and loving in Bali. Couldn't be that bad, right? In Eat Pray Love's defense, I loved looking at the scenery. 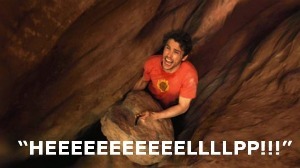 I also loved looking at James Franco. And Javier Bardem was a wonderful late addition to the movie. But seriously? This movie had to take 140 minutes away from me? Any chick flick shouldn't go over 100 minutes. So this movie basically meant 140 minutes with one of my least favourite actresses Julia Roberts playing a really unlikeable character and having absolutely no story to go back on. Yeah, Eat Pray Love was a fantastic movie. This is based on the successful autobiographical novel by Liz Gilbert, here played by Julia Roberts, who is a woman who divorces her husband (Billy Crudup) out of marital boredom. Barely a while after this happens, she shacks up with aspiring actor David (James Franco), who proves to be just a fling to distract her from the other going-ons in her life. Soon she realizes that her 'appetite for life' is just gone, and decides to do something crazy: go on an overseas trip. First stop: Italy, where she eats all she can eat. Next up comes India, a place where she can pray and find her inner soul. She ends the year in Bali, where she meets Felipe (Javier Bardem), whom she ends up loving. It makes me laugh that two of the five actors up for this years Best Actor Oscar are in this film. Then it makes me sad that such brilliant actors would resign themselves to having bit parts in a movie like this. Everything about it is so lacklustre. There isn't really a story or any narrative to speak of. Instead, we have to feel like we are being dragged around while Liz goes on her holiday. Hey, the scenery is pretty to look at, but once we've seen it, the novelty kinda wears off. In fact, the best moments that happen are early in the piece where Liz is going through her divorce, because it's easier to relate to her husband than anything else. After that, it is just a big, boring, slightly vain film all about a very dislikeable woman who takes more than she gives. At the end, when the film finally asks us to side with this woman, its difficult to even care. Which is a shame because it tried so desperately. 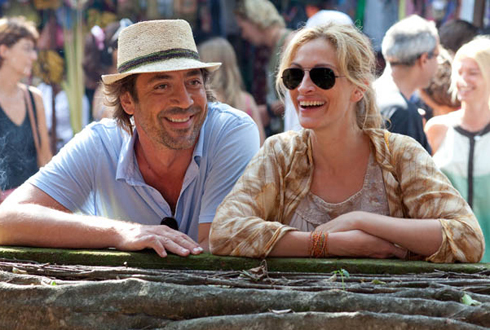 To put it in small words: there wasn't much for me to like in Eat Pray Love. Sure, I may be a little naïve to like a film that deals with pressing issues such as a divorced woman looking to let herself go, but I don't think I'm the only one who feels this way. Glee creator Ryan Murphy tried with this movie, and it's sweet that he did, but one must realize that in order to make a movie for chicks, you have to make it at least funny. Don't just make it as dismal as the lead character allows it to be. Because, in the end, where this movie failed was when it sold itself as a movie where you could 'let yourself go'. Unfortunately, I felt trapped, and the sweetest feeling was having the credits start rolling. 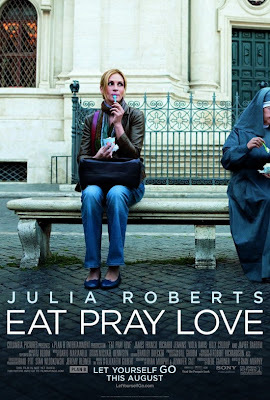 THE VERDICT: Julia Roberts admirable starpower doesn't overcome the fact that Eat Pray Love is an overlong piece on a very unlikeable character. Appearances from James Franco, Javier Bardem and Billy Crudup are good, though.